The Great Singapore Sale (GSS) frenzy has officially kicked off Friday (May 29), but judging by the crowds being drawn to early sales around our city, shoppers and shops alike are already proving their true-blue Singaporean “kiasu-ness”. The GSS, which this year runs to July 26, can be a fantastic time to bag some great deals without maxing out your credit cards – but only if you know where to look. Here’s a complete cheat sheet to shopping till you drop for the savvy Singaporean. The glittering malls that make up Singapore’s town area – and even those in the neighbourhoods – get legendarily packed around the GSS period. Squeezing with the crowds is never a pleasant prospect, but fortunately, the advent of online shopping sites means we can now indulge in as much shopping as we need want without leaving the comfort of our homes. Here’re some prime online shopping destinations to get you started, all gearing up to join in the GSS fun: Amazon-like e-commerce giant Lazada; popular online marketplace Qoo10; Zalora, a favourite with local fashionistas; HipVan, a home furnishings e-retailer which stocks everything from bed linen to refrigerators. What with the barrage of red “SALE” signs that swamp every mall come GSS time, you’re sure to end up spending a lot more than you intended to if you window-shop without clear goals in mind. To safeguard your wallet from those tempting impulse buys, you might want to make a shopping plan (and keep to it!). But how to plan if you don’t know what the sales are? That’s where apps like GssGo! come in: GssGo!, available for both Android and iOS, is a free app which allows you to discover all the GSS sales going on in malls throughout Singapore. You won’t even need to step away from your house to check on the promotions taking place at your favourite brands, giving you the breathing space you need to appraise each bargain and reducing the risk of being momentarily hypnotised by those potent “50 per cent OFF” signs. On a related note, there’s really no need to do any legwork to find the best deals: By harnessing the power of social media, you can save your energy for carrying home those laden shopping bags instead. 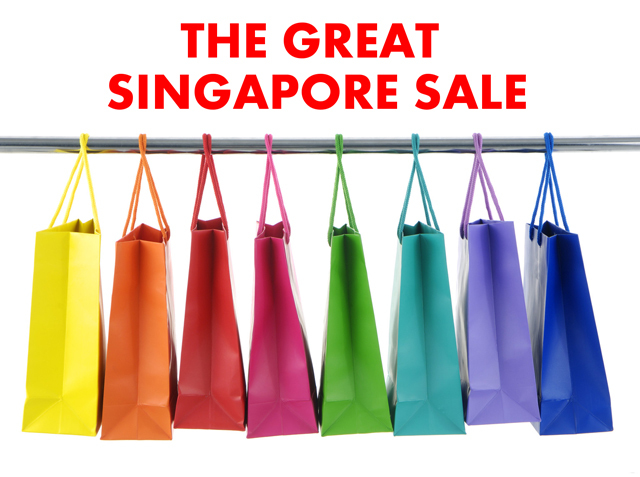 It’s testament to Singaporeans’ impressive dedication to shopping that in addition to a GSS website, there’s also an official Great Singapore Sale Facebook page covering GSS promotions. Aside from checking the Twitter hashtag #GreatSingaporeSale every now and then, the feed The Hidden Dollars (@hiddendollars) is another gem that’s a must-follow for savvy shoppers – it’s updated on a daily basis with bargains both well-known and obscure. While we’ll never be short of amazing bargains during the GSS period, time and kiasu-ness wait for no one. If you don’t already obsessively stalk deal portals like SG Coupon Code, Deal.com.sg, OfferStation, All Deals Asia, and iprice, there’s no better time than the present to start. These sites can get you in the know about great sales that you might have missed, as well as redeem coupon or promo codes to make your dollars go that bit further. Besides these deal sites, there’s an assortment of other ways by which you can placate your inner, bargain-hungry auntie. If you haven’t already heard, ION Orchard has specially created a GSS Deals tab in their free mobile app – users can receive daily exclusive deals through the app at 11am sharp during the GSS period. And if competitive shopping runs in your blood, the Great Singapore Sale Match & Win challenge might just win you a S$100 Prepaid MasterCard Card via a simple memory game. Discounts don’t have to stop at the shops either: Your ride home can be made cheaper with UberX. The ride-booking giant is getting in on this year’s GSS action by offering users a drop in minimum fare from $8 to $5. In addition, the price structure of fares will now remain the same 24 hours a day, meaning that you won’t need to worry about those midnight surcharges if you happen to stay out till late. Uber’s not the only booking app offering discounts this GSS too: GrabTaxi’s GrabCar – their licensed private vehicle booking service – is giving users $5 off three GrabCar Economy rides during the sale period. All you have to do is use the promo code “GCGSS” when making your booking (and check out GrabTaxi’s brand page for more of such deals!). Most credit card lines offer incredible rewards and promotions come GSS season, the only condition being that you spend above a certain amount. Since you’re probably going to clock up extravagant bills anyway (and then swear that you’ll be more thrifty next year), you might as well get pampered for it. For your convenience, we’ve put together a non-exhaustive list of all the shopping rewards that banks islandwide are offering. DBS cardmembers can enjoy a GSS Mobile Spin & Win by spending a minimum of S$150. Gifts that you can win include two pairs of return tickets to Bali and a $50 Takashimaya Shopping Voucher. Standard Chartered Bank is offering rewards like Marriott Cafe lunch buffet vouchers and a pair of SilkAir tickets to Phuket. Some of these giveaways are in limited stock, so you’ll need to get your GSS shopping done early to beat other cardholders. Among the GSS goodies offered by Maybank are a pair of passes to Universal Studios Singapore and a Deluxe Room Package at Equarius Hotel. 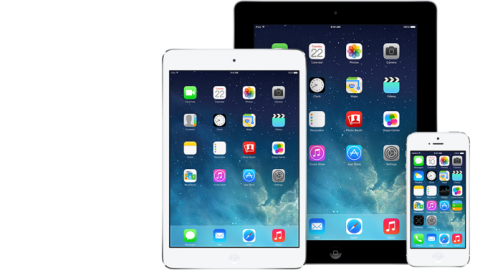 Incredibly, GSS 2015 officially commenced just today, but the Shinco 7″ Android Tablets for cardholders spending over S$2,500 have already been fully redeemed – which is either amazing or absurd depending on your standpoint. HSBC cardholders can win interesting rewards with purchases of just S$80 and above – the lowest qualifying spend across the banks listed so far – ranging from a $5 Swensen’s voucher to two Everyday Flavour Cupcakes from Twelve Cupcakes. While OCBC hasn’t released exact details of their GSS deals yet – like most other debit and credit cards, it promises a Spend & Redeem promotion – cardholders might want to download their WowDeals mobile app to reserve their limited-time deals if and when they appear. And finally, ANZ is celebrating this year’s GSS by adding to the already sizeable discounts that shoppers can enjoy – cardmembers will get a 10 per cent cash rebate with a minimum spend of $1,500. So you’ve shopped till you dropped, bought enough clothes to start up a store of your own, and you’re finally done with your spending for the month. As you flop your exhausted, contented self onto your piles of shopping bags, you might already be wondering, what next? Fret not, the GSS 2015 Daily Rewards lucky draw might sweeten your post-GSS doldrums. The draw will take place on Aug 11, well after the end of the GSS period (July 26), and feature 59 winners – one for each day of the GSS. All you have to do to enter the draw is to submit a single receipt of at least S$50 to stand a chance of winning $500. This year will also be Singapore’s 50th birthday, and in honour of SG50, we can expect for this year’s Great Singapore Sale to be bigger and more spectacular than ever. Remember to stay hydrated, arm yourself with this cheat sheet, and you won’t go wrong. Let the shopping games… begin! Dozens of Singapore websites, possibly more than 180, have been defaced by hackers in two separate occasions this week. Does Facebook’s Timeline Violate Its FTC Settlement?